It’s been almost a year since the new spelling of Sohar – with a ‘U’ instead of ‘O’ (Suhar) – started appearing on the highways in Oman. I, like many other people, have been extremely annoyed by this arbitrary change to the spelling of the name of my beloved hometown. This change in the spelling is not only annoying, but it is harmful to the identity of the city and to many businesses that are based in Sohar or have the word Sohar as part of their registered trademark names. First of all, there is no point in discussing which spelling is more correct. Arabic and English are different languages and names of places do not have to be the same, let alone sound the same, in these two languages. Egypt, Jordan, and Morocco are not written as Masr, Al-Urdun, or Al-Maghreb in Arabic. Neither are Al-Qahira, Dimashq, or Al-Jaza’ir. Tokyo, Beijing, and Tehran are not written as بيجينج ، توكيو or تهران in Arabic either, and in case someone didn’t notice: Muscat is not spelt as Masqat and Oman is not spelt at Umaan. Certain spellings in foreign languages have a historical significance and reflect the interactions these places had a long time ago with other cultures. There is no English spelling guide that will tell you that the correct spelling of Sohar is with a ‘U’ because Sohar is not an English language word. Unlike Athaiba, which is also known as Odaiba, Azaiba, or Al-Uthaiba, the spelling of Sohar has never been disputed. Sohar is one of the most significant cities in Oman economically, historically, and politically, and everyone who can read the English alphabet can remember the five simple letters that make up its name. 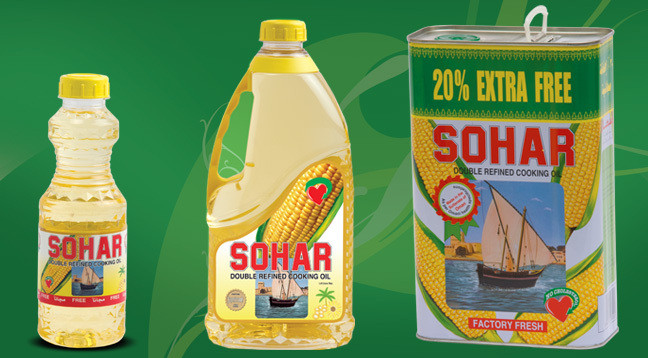 For over 45 years, some of the most significant Omani brands have had Sohar in their names: From simple everyday products like Chips Sohar and Sohar Cooking Oil, to major industrial businesses like Sohar Port and Sohar Free Zone. There is also Sohar University, Sohar Beach Hotel, Sohar Fort, Bank Sohar, and even the brand new Sohar Market by the corniche has ‘SOHAR’ spelt with an ‘O’ on the front of its building. The first rule of branding is known to be consistency. Arbitrarily changing the spelling of Sohar is one of the biggest attacks one can make to the brand and identity of the city. Tourists will not find the location of Suhar Fort on their GPS devices and investors would not find any information about Suhar Free Zone on their intelligence databases – simply because these places are not spelt like that. For businesses in Sohar, the change in the name is very problematic. The official names of Crowne Plaza, Radisson Blu, and Mercure are Crowne Plaza Sohar, Radisson Blu Sohar, and Mercure Sohar. For them, this is not just a billboard outside their building, but the legal name they have in their licence, on their trademarks, on their websites, and a million other places. This problem is even more serious with Sohar Port and Sohar Free Zone. The English spelling of the names of these entities is set in English language legal documents that were ratified by royal decree. Even the name of the new airport in Sohar has been confusing because the airport has been formally registered with international organisations such as ICAO and IATA a long time ago as Sohar Aiport (not Suhar Aiport). Therefore, it is not surprising that the new international airlines that are starting to operate flights to it (e.g. Qatar Airways & Air Arabia) use the spelling registered internationally (Sohar) and do not care about what the boards say in Sohar. It is simply not possible to expect all businesses to switch to the new spelling because for some of them the costs associated with such a change are unreasonable and legally too complex (for example, Sohar Port and Sohar Free Zone). The decision to change the spelling of the name was arbitrary and had no legal basis, therefore, it could be reverted back to the original spelling or could be changed to more a bizarre spelling at any moment again. For these businesses, the safest action to deal with this mess is simply not to change anything. The strange thing about this incident is that nobody knows who came up with this arbitrary decision and under what legal authority. Even though the Municipality of Sohar is the only authority that has tweeted about the change, the Municipality has no influence over the way the signs out Sohar spell Sohar. It is unlikely that this spelling was something the Cabinet has decided or something that came through orders from His Majesty. The worst part about this story is that the damage to the name of Sohar has already been done. Some new businesses in Sohar are using the new spelling on their boards and some have registered trademarks using the new spelling. Even if the government at the highest level decides to officially declare the spelling of Sohar to be with an ‘O’, replacing all the signs that have already been put up will be too expensive and time-consuming for someone in the government to commit to it, especially at this economic climate. The brand identity of Sohar has been damaged for many years to come.